My senior thesis, an essay exploring the theme of oppression in several women’s novels, had been accepted for presentation at a literature conference. In college, I had been more a “dumb jock” than a scholar, and so the acceptance represented for me not only personal transformation from athlete to intellectual, but also external affirmation. Perhaps I was a good student and writer after all. But then the conference program arrived, and I discovered my essay would be included in a panel titled “Feminism in Literature.” My delight waned. “I’m not a feminist,” I wailed to my advisor, “and I don’t want other people to think I am.” Never mind that my thesis discussed the tyranny of patriarchal societies, and the repression of women characters in fiction, and the subversive nature of the literature I was reading. I refused to be labeled a feminist, believing that in claiming such an identity, I would also be claiming to be a bra-burner, a man-hater, or some other object of ridicule. Now, twenty years later, I am a professor of English at an evangelical Christian college. My undergraduate plaintive cry is ofttimes echoed by my female students, who insist they are “not feminists” while arguing for, among other things, equal treatment with the men in their classes and in their careers post-graduation. They reject feminism at the same time they are enjoying the freedoms it has afforded them: the right to attend college, to make choices about family and marriage, to have their extra-curricular activities funded to the same level as men. 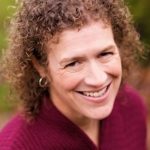 Like my younger self, the students seem to fear the stigma attached to the word feminism, so that—at least on my evangelical Christian college campus—feminism is its own kind of “F” word, a word forbidden, vile, used as a term of disparagement (as in, “she’s such a feminist,” said in a tone suggesting that being a feminist puts someone on equal standing with a devil-worshipper or with Satan him- or herself). 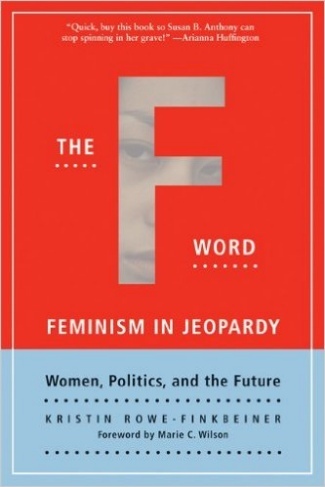 So I was intrigued by the title of Kristin Rowe-Finkbeiner’s book The F-Word: Feminism in Jeopardy (Seal Press, 2004), especially since feminism has always been an F-word among many of my evangelical students and colleagues—though it has never appeared to be much in jeopardy. Already having no status among most evangelicals, feminism would be unlikely to appear on a list of endangered ideologies in need of their protection! Rowe-Finkbeiner, however, is speaking of mainstream antipathy towards feminism. She points out that rejection of the idea of feminism, if not its ideals, is increasingly common among young women aged 18 to 34. While women in this demographic group benefit from the work of first- and second-wave feminists, and while they continue to affirm the necessity of gender equity, of reproductive rights, of economic justice between men and women, they refuse to identify as feminists. Perhaps more troubling, says Rowe-Finkbeiner, is this generation’s lack of civic engagement. Its unwillingness to publicly contend with the political, social, and cultural agendas of feminism jeopardizes feminism itself, in name and in deed. The F-Word is based on hundreds of surveys Rowe-Finkbeiner conducted with women aged 18–34, all of whom are making varied life choices about education, motherhood, marriage, and entering or leaving the work force. Through these interviews, she endeavors to construct “a snapshot of the lives of America’s young women” (p. 17), focusing both on the issues women feel most passionate about now and on the issues women might face in the future. Her conclusions are hardly surprising; women today are concerned about dilemmas that also troubled their foremothers. But unlike earlier generations, Rowe-Finkbeiner argues, today’s young women are far less invested in the political, or even public, processes that might precipitate change. Instead, they are seeking to define their own kind of feminism—one that is more individual than movement, more cultural than political, and so more inclined to reject the “ism” of feminism for something else. Or, for nothing at all. My own evangelical students may be most inclined to accept the “nothing at all” label, affirming (as I once did) the belief that feminism is incompatible with their own Christian faith. As I read about Rowe-Finkbeiner’s subjects, I thought often of traditional Christianity’s response to feminism, about the young people in my classes, and also about my initial eagerness to reject feminism as well as my journey towards claiming feminism as an identity. Although (alas!) 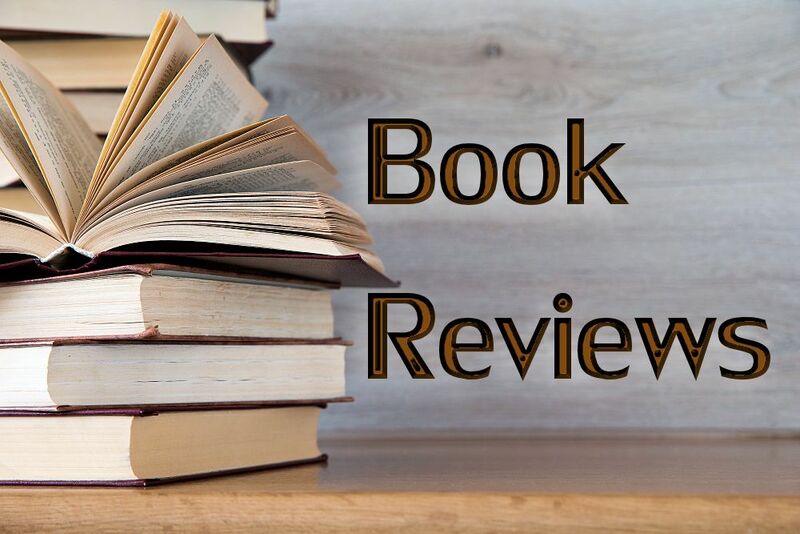 I fall just outside the demographics of the author’s research, I wondered how my students’ experiences mirrored that of her subjects, and whether my students might ever walk a path similar to mine toward embracing feminism. Young evangelical women no doubt share many of the same concerns as Rowe-Finkbeiner’s subjects. Like those the author interviewed, my students worry about their careers, and about work and family choices they will make; they struggle with issues of self-identity, and with the inaccurate images of women they see every day in the media. Certainly the impetus for their concern may be different: many Christian women in conservative churches and households, for example, may face unique pressures about the tension between staying home to raise children and pursuing a career. However, like the young women featured in The F-Word, my students struggle to understand their place in contemporary culture, struggle to find a place in contemporary culture, even as they refuse to name that struggle feminism. Rowe-Finkbeiner notes that young women today reject the label “feminist” for a number of reasons. “Cultural expectations have changed and we are living a new paradigm,” she writes. “The severe either/or binary issues, the perceived modeling on men’s freedoms and expressions, the rejection of labels and the generational tensions have all operated to turn feminism into the ‘f-word’ for many young women” (p. 31). In her book, she offers a compelling rationale for how each of these elements has contributed to the jeopardizing of feminism as a movement; and in chapters exploring women’s place in education, the workplace, motherhood, and in relationships, she limns the specific cultural expectations that have placed feminism in jeopardy. Too, Rowe-Finkbeiner draws on women’s own voices to make her argument more tenable, allowing women themselves to speak to their conditions. However, Rowe-Finkbeiner’s research feels less applicable to the young women I interact with each day, evangelical Christians dealing with yet another level of cultural expectation: that of biblical mandate and church tradition. Many evangelical women reject the label “feminism” not because of “generational tension” or “perceived modeling,” per se, but because of what the evangelical church has told them feminism is—and is not. They are rejecting feminism for the same reasons I rejected feminism twenty years ago, living in a different time with presumably different expectations. They are rejecting feminism because other evangelicals have described it as a perversion of God’s will for women’s lives, just as other Christians presented to me an image of a feminist as a hairy-legged man-hater, a baby-killer, a family-destroyer, an enemy of God. Mine was not the upbringing enjoyed by the women Rowe-Finkbeiner interviewed, predominantly daughters of second-wave feminists who offered strong models for what it meant, really, to be a feminist. Neither did most of my students experience such an upbrininging. For this reason, I am hard pressed to assume that Rowe-Finkbeiner’s remedy for saving feminism will work as well for those who, like my students, reject feminism for faith-based reasons. In fact, her proposed remedy for pulling feminism from the brink of extinction seems puzzling, even implausible, given her contention that younger generations in general are far less politically-minded than their foremothers. I know this is true: women on my campus, like young women elsewhere, are unlikely to vote, let alone participate actively in political campaigns—even for those issues and candidates about which they feel strongly. Despite this overwhelming lack of civic engagement, though, Rowe-Finkbeiner says, women should “reclaim the F-Word” by reengaging in the political process, regenerating the activist spirit of the first- and second-wave feminists, and electing more women to office. Of course, I am all for electing more women to political office, and I appreciate the many women activists who, day by day, fight for the issues about which I care most. But I remain skeptical about Rowe-Finkbeiner’s tautology: that to engage women in politics in order to save feminism, women need to save feminism by being engaged in feminist politics. Not only is it circular, but Rowe-Finkbeiner’s argument is also tinged by idealism, at least in relationship to most young women I have known. I can no more convince my students to embrace feminism in the political, and so public, arena, than I can encourage them to claim feminism as a personal identity, one that might shape the very individual choices they make about marriage, family, and career. What do we do, then, to save mainstream feminism from peril, if not to promote civic engagement among our young? Or, perhaps more significantly, how do we save feminism from its objectionable reputation among some Christians, thereby allowing others the opportunity to claim their feminist selves? My own life’s narrative helps answer these questions. My journey toward feminism was guided not by civic or political engagement, but by important mentors along the pathway. First, two undergraduate professors taught me I could question patriarchal authority, particularly patriarchal church authority, and that I could have a career as viable as, or even more successful than, my male classmates. I started to think I might be a feminist, even if I could not speak my identity’s name. In graduate school, then, I had the profound experience of working with a thesis advisor who was strong, outspoken, successful, beautiful, nurturing. And, she was a well-known feminist. Through her own actions and her support, I began to see myself even more as a feminist. Although she was not a believer, my advisor also encouraged me to read feminist theology and to write about what I discovered. The opportunity to study feminist theology, and to see feminism in action, proved transformative: I graduated with a ready willingness to claim myself a Christian feminist—and, more importantly, to act publicly and politically on my newfound convictions. So while I appreciate Rowe-Finkbeiner’s argument, and while I also still worry that feminism is in jeopardy, I cannot abide by her easy antidote: that women need to re-engage in feminism at a public, and political, level. Instead, The F Word convinces me even more what my calling should be among young women and men who deny themselves a feminist identity. Instead of drawing them into the public sphere, I need to be leading by example right where I am: showing others what it means to be a Christian feminist through how I live my life, how I teach my classes, how I relate to others. By connecting with students on a personal level, I hope I can encourage them to claim a feminist identity publicly, in their churches and homes, in the arenas that matter most to them. If feminism is to become viable among Christians, I must—like other women before me—demonstrate what being a Christian feminist is. I need to openly discuss my own struggle toward feminism, and my present belief that the ideals of Christianity and of feminism are not only compatible, but essentially the same. Then, some time when one of my students wails to me that she is “not a feminist,” I can lead her—gently, but emphatically as well—toward a different understanding: an understanding of what it means to be a believer, and to be a feminist, in a world oftentimes hostile to both.